The wait is finally over as the first houses and our show houses are now completed and ready for your eyes to feast on. With the construction of the first batch in the first phase completed, be sure to be at awe with the final product and it’s top of the range style and finishes. The homes are on show daily, and ground of phase 2 was already broken as well. Visit us on site to get the full experience. Lehae is the ideal place to call home, if you’re looking to be in central location between Johannesburg, Alberton, Soweto and the Vaal this is the place for you. Not falling short of any desired amenity Lehae is the perfect place to call home, offering the best value your money can buy. Two bedroom homes selling from R449,000 and 3 bedroom homes from R519,000. All costs are included. 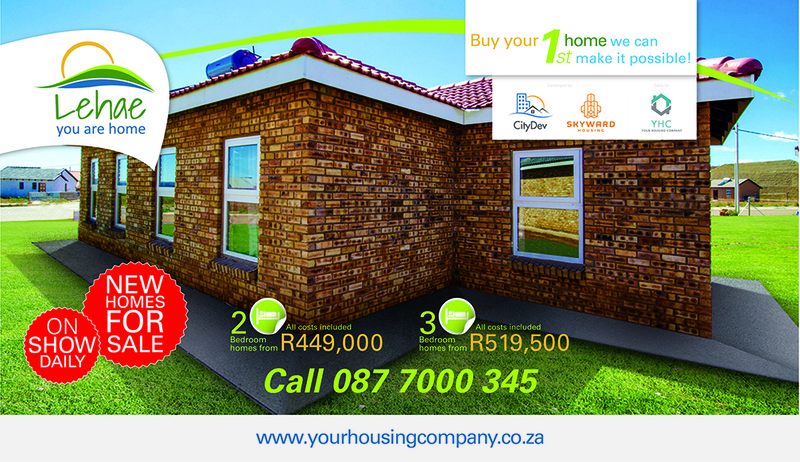 Contact us on 087 7000 347 or visit: https://www.sowetohouses.co.za/ for more property info.